I hope everyone is having a great week so far! 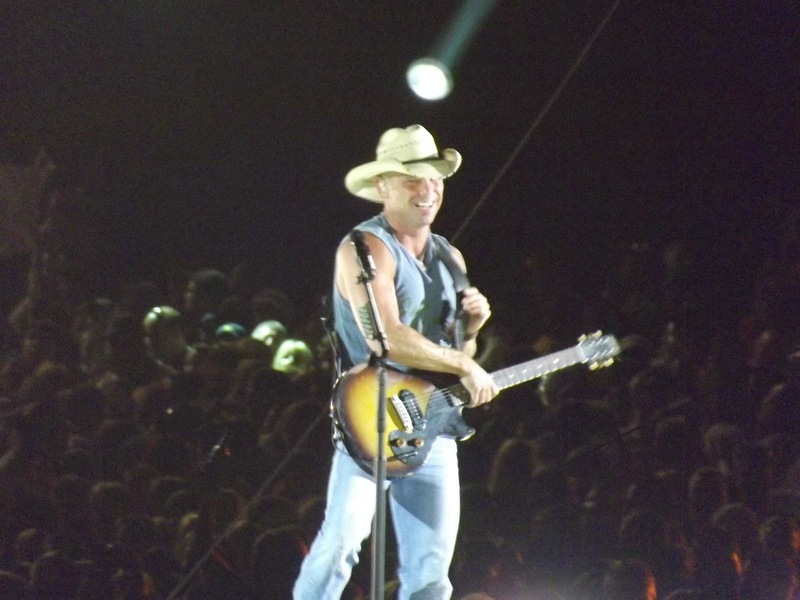 As I mentioned in my last post, this weekend I went on another country music adventure…this time to Atlanta and saw my hands-down favorite singer of all time Kenny Chesney on his Brothers of the Sun Tour along with Tim McGraw, Jake Owen & Grace Potter. I am literally obsessed with Kenny. This was the 5th show I’ve been to and he seriously never ceases to amaze me!!!! I took one of my best friends from undergrad with me and we had a great time. Bracelet: it’s actually a necklace I wrapped around my wrist a few times, from Target! Cowgirl boots: the essential country music concert outfit maker. Here’s me and my girl Hannah before we left for the show (remember when I visited her in MemphisHERE?)…. The concert was at the Georgia Dome in Atlanta which was an EXCELLENT venue, especially for an all-day event. 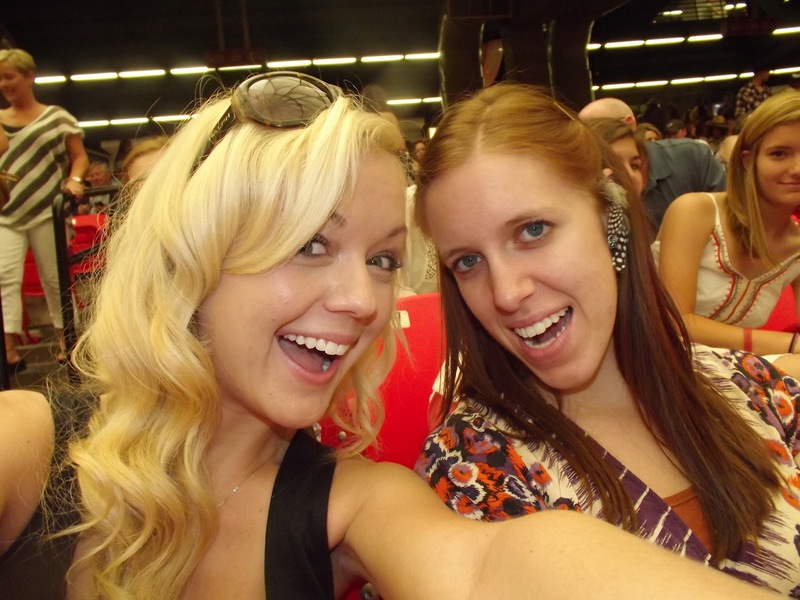 The temperature was perfect and our seats were great!!! 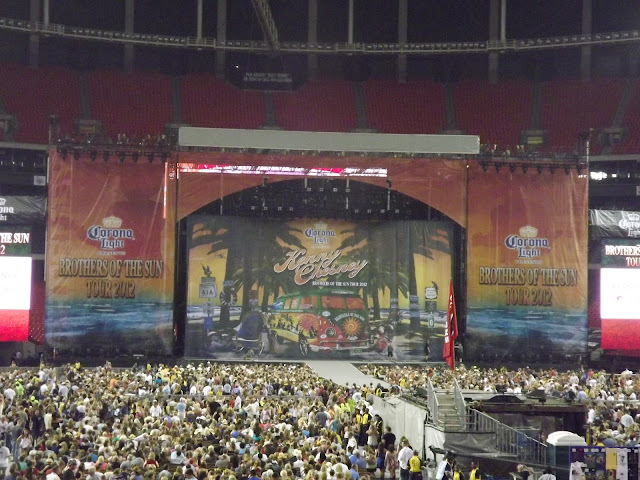 The stage before Kenny came on!!! These are our incredibly excited to see Kenny faces. 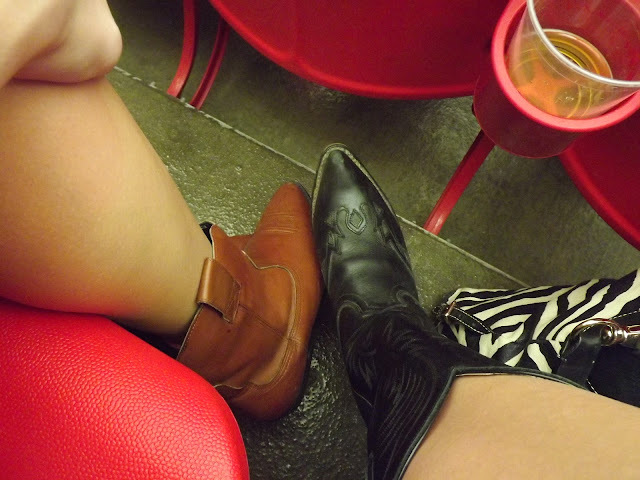 Cowgirl boots are a must! Also a must for a Kenny concert?? 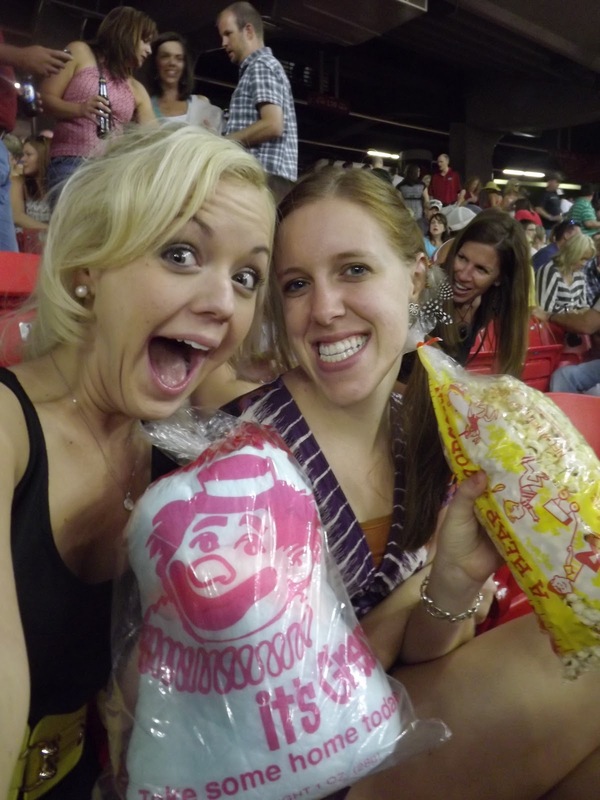 Cotton Candy + Popcorn!!! 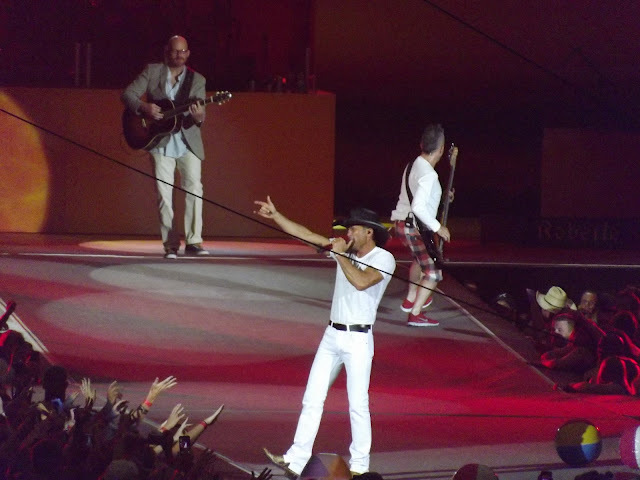 Tim McGraw performed before Kenny and totally rocked it!!!! He had on a very snazzy black and white ensemble. Hannah & I were hoping Kenny would come out in an all black outfit with white accessories but no such luck! They really should have consulted us about their outfits!!!! So after Tim it was time for Kenny. The intro before Kenny was awesome because they of course really built it up and you had NO clue when he was going to finally come out. In fact when he did come out at first I couldn't find him...haha until I all of a sudden realized he was literally FIFTY feet away from us on this stage towards the back of the dome (where our seats were). OH HEY KENNY!!!!!! Below is the video I made when Kenny first came out!!! When watching this video please try your hardest to ignore my incredibly loud screaming "I LOVE YOU KENNY" and singing....no wonder I was hoarse after!!!! 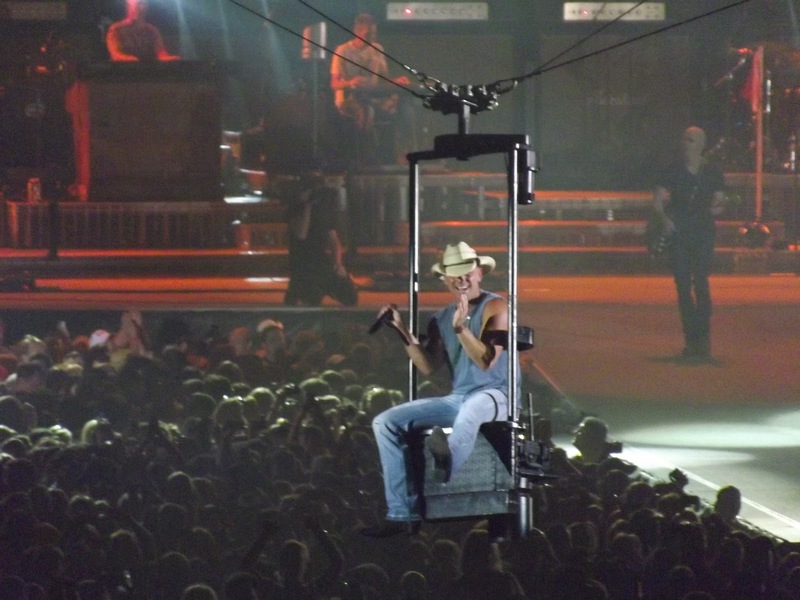 Kenny made his way to the main stage via swing. No big deal! Grace Potter came out and sang with Kenny! Then Tim comes out to sing with Kenny!!! 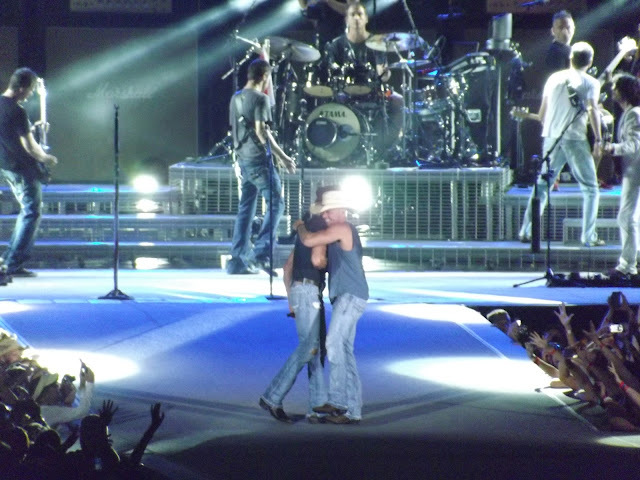 They are such good friends....love this hug! 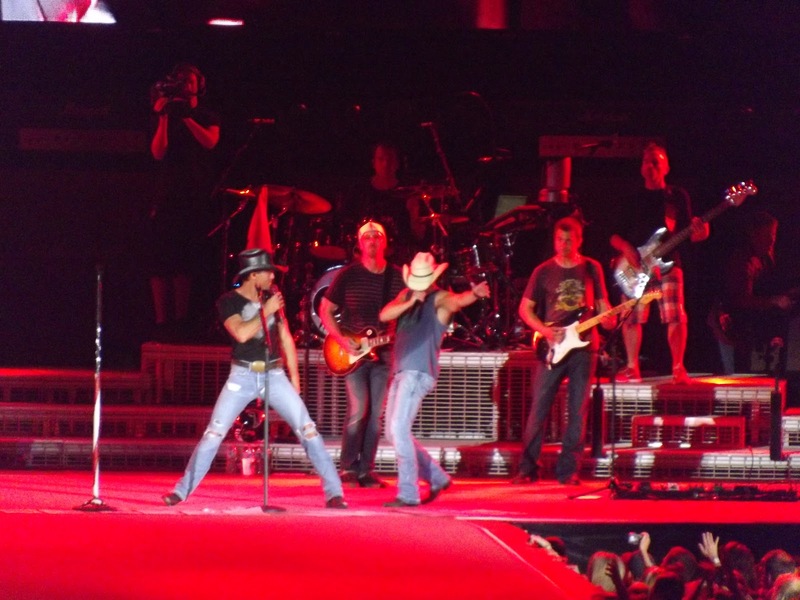 Kenny & Tim rockin out!!! If you ever get a chance to see Kenny or Tim in concert DO IT!!! You definitely won't regret it. It was an AMAZING concert!!!! Are you planning on going to any concerts this summer!? Leave me a comment and tell me all about it! Thanks so much for reading dolls & I hope y'all are havin' a great day!! !